Leo Chalupa, the vice president for research, said at a Faculty Senate meeting earlier this month that his office created a new program to encourage faculty to submit proposals for training grants. Leaders in the research office created a new incentive program to encourage faculty to submit proposals for training grants, which fund pre- and postdoctoral fellows and trainees for research projects. Postdoctoral fellows and research faculty said the grant will allow researchers to bring in more postdoctoral candidates and will increase research by adding support. Vice President for Research Leo Chalupa said the fund, which he announced at a Faculty Senate meeting this month, will encourage more researchers to apply to the nationally recognized Institutional Training Grant programs, which gives funding to groups of pre- and postdoctoral fellows. The office will offer a grant to fund a researcher’s postdoctoral fellow after that researcher submits an institutional training grant proposal, Chalupa said. The research office will award a maximum of two of the grants during the calendar year, Chalupa said. Lead researchers who earn the incentive will get funding for the salary and fringe benefits of one postdoctoral fellow position for two years, according to the program description. The awards include up to $69,300 each year for two years, plus $55,000 in fringe benefits. Faculty in all schools are eligible to apply for the grant and lead researchers on projects must have an external funding – or a grant from an institution outside GW – to apply, according to the program description. The research office requires lead researchers to work with the office and the Office of Sponsored Projects to verify that the proposed project is eligible for the program before they begin to develop the proposal, Chalupa said. George Younes, the president and founder of the GW Postdoc Association, said the program shows GW’s support of postdoctoral fellows. GW has about 130 postdoctoral fellows in total and two more a year is a good increase, he said. Last year, a new federal law was proposed to increase the pay provision for postdoctoral fellows and the University discussed ways to raise the salaries for 55 of those fellows. When a federal judge blocked the regulation that required the University to raise their pay, officials said they would uphold the pay increase. Younes said this program could bring more postdoctoral fellows to the University. 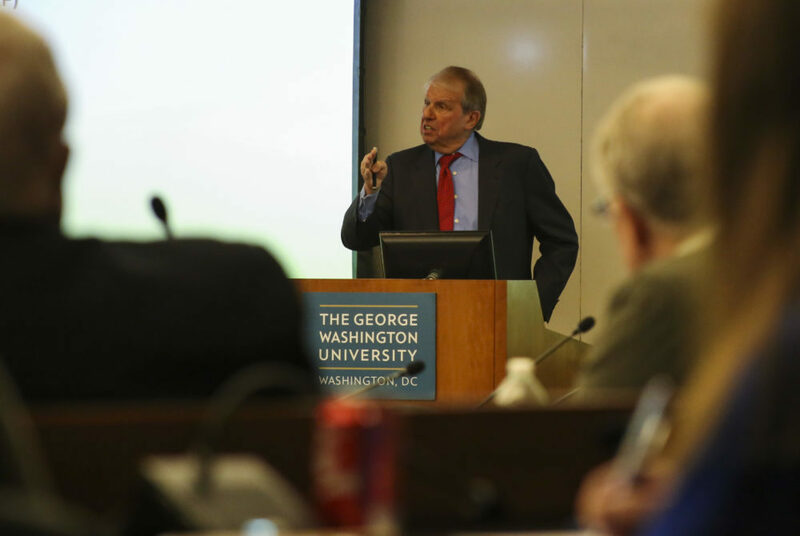 Nationally, there have been fewer postdoctoral fellows funded because federal research funding hasn’t increased, but that GW has done more to support postdoctoral fellows than most other universities, he said. These grants are one part of a series of new programs for designed to encourage research faculty’s work. The research office announced an incentive program for humanities researchers last month and is now offering to fund research conferences. John Philbeck, a professor of psychology, said it is helpful for graduate students to be involved in research, but that postdoctoral fellows are most valuable because they know how to write research and grant papers. “Having graduate students and postdocs helps us be even more effective, get more work done, get them thinking because they are using their curiosity and their expertise to help make the projects better,” Philbeck said. Stephen Mitroff, an associate professor of psychology, said postdoctoral fellows’ work helps faculty members and advances their own careers.